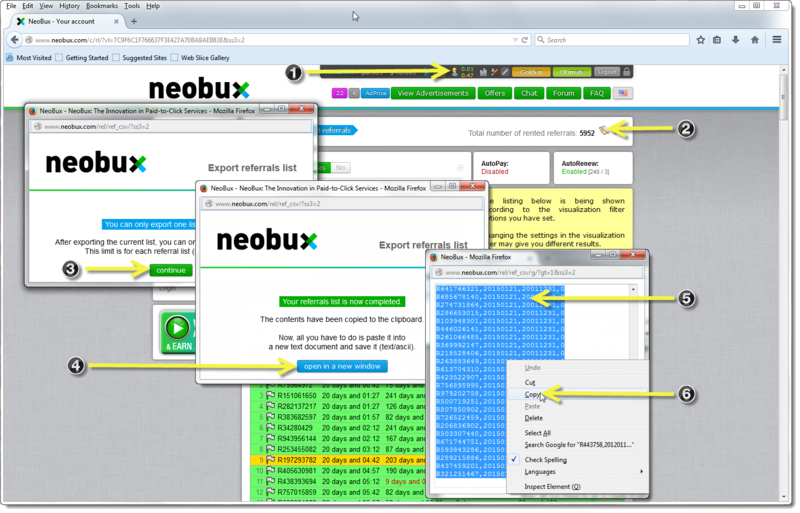 To export your rented referrals data from Neobux website, follow the sequence of clicks as shown on the following figure. It is recommended to create new Notepad text file and paste the copied data into it, then save this text file with name showing the date i.e. 29_01_2015.txt, 20150129.txt ... etc. 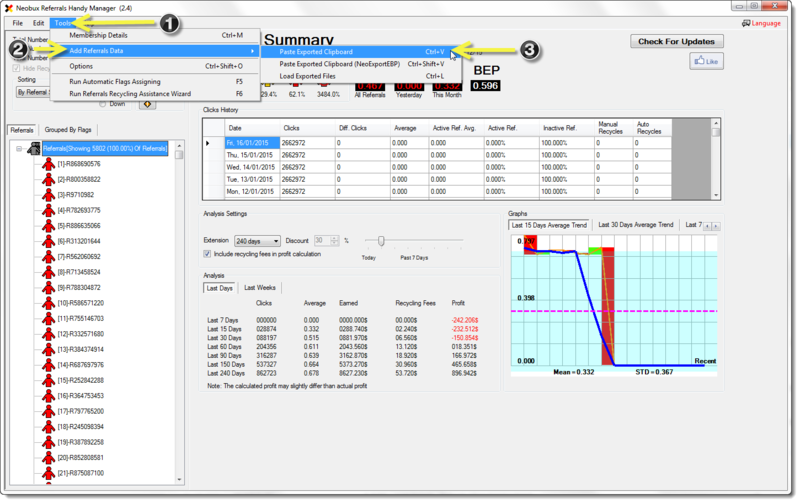 Now, we have exported data copied from Neobux and available in the clipboard. The next step is to load such copied data directly inside the handy manager.